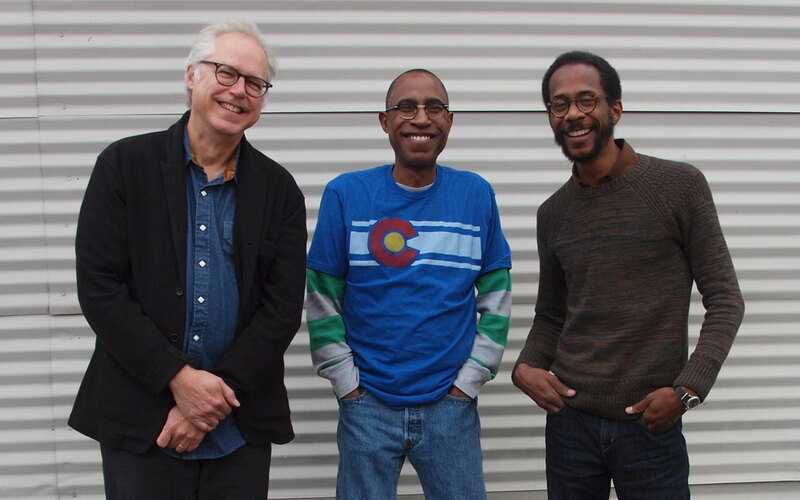 Bill Frisell, Ron Miles, Brian Blade photo by John Spiral. Tickets available through Benaroya Hall. Hint: For lower ticket fees go to the Benaroya Hall Ticket Office on Third Avenue and Union Street. The quiet genius of trumpeter/cornetist Ron Miles is gaining the long-deserved international acclaim enjoyed by his Circuit Rider band mates, drummer Brian Blade and frequent collaborator, guitarist Bill Frisell. Opening: The distinctive classical compositions of another collaborator Wayne Horvitz, including his work for the Seattle Symphony Orchestra, debuted at an earlier Earshot festival, have just been released on record. Horvitz’s concerto, “These Hills of Glory,” will be performed by a string quartet and improvising clarinetist, Beth Fleenor.